The standard alcohol percentage on a high quality bottle of wine is 11%. Many people who enjoy the taste of wine would like to see the percentage of the beverage be a little lower however. Whether you are looking to shrink your waistline or consume less alcohol, this is the perfect choice for you. Whatever your needs are, you are in luck because M&S have actually launched 2 lighter wines from New Zealand that are so far receiving amazing reviews. If you like to drink more than one glass but don’t want to get “drunk” or feel hungover the next day, you don’t have to sacrifice on quality with these new 9.5% wines. These own label Sauvignon Blanc and Rose respectively taste absolutely amazing because they are naturally created from some of the best vineyards in New Zealand. These lighter wines are actually produced by Forrest Wines in Marlborough, which is a well known winery that has been going strong for many years. This company focuses on quality and use careful grape selection to get the end result just perfect for customers all over the world. This recent news is really important to UK residents, many of whom want to lose weight while still enjoying alcohol occasionally. 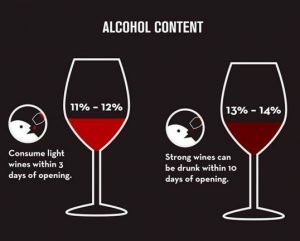 While the percentage decrease isn’t huge, it will make such a difference to how you feel after consuming wine. It is fact that lighter wines are now actually beating their regular counterparts to different wine awards around the world. The popularity of them are set to keep rising while the quality is still remaining super high. If you live near a Marks and Spencers and want to taste one of these lighter wines for yourself, what are you waiting for? Head over to the food and drink department and stock up on lighter New Zealand wines!